In an attempt to reduce camping, Treyarch have introduced a couple of new features for Call of Duty: Black Ops. First of all, players who use the Ghost perk will still show on the enemy UAV if they remain stationary for too long. It’ll be really interesting to see how this plays out as, in theory, this is a fantastic idea. In addition, they have totally changed the way in which killstreaks are obtained, moving to a points based system that rewards objective gameplay. The idea here is to force players into jumping on flags or bomb sites if they wish to attain the bigger rewards, such as dogs and warships. Again, this seems like a great idea in theory and we hope it works well in practice. For those who have been lucky enough to play the game early, most seem to be fairly impressed with the new score streak system, although some feel the highest streaks are going to be out of reach for your average player. Hunter Killer – has the potential to be the ‘new’ RC-XD, if people learn how to use it. Take note: do not throw when indoors + do not throw near walls! However, if launched successfully this little drone will fly around the map and seek out an enemy player. 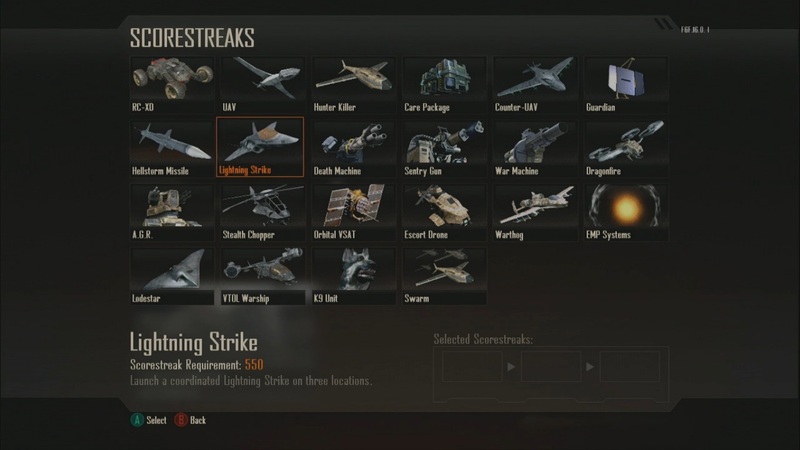 Care Package – as in Black Ops 1, these can be re-rolled or booby trapped! Sentry Gun – no changes here. The Swarm – an army of hunter killer drones. 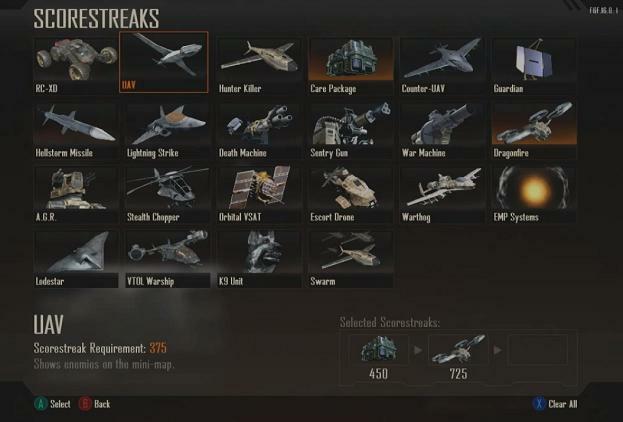 If anyone is beastly enough to get this score streak, expect total carnage. We’ve also heard rumours of a secret kill streak. Sadly, it’s still a secret. We can only assume it will resemble the MW3 M.O.A.B but, knowing Treyarch, it will be attained when a whole team does well. What streaks are you looking forwards to using? Let us know in the comments!